You create what you believe, and what you see you believe. Makes sense, right? Well, then why does so many of us still choose to live in chaos? Your space reflects your life, and this remains an underlying philosophy behind the popular practice of feng shui. So every time you see clutter—even if it’s on a more subconscious level—it can impact your psychological health. And not only that, but it can also highlight that other areas of your life may be unbalanced and deserve your attention. Clearing out the unnecessary clutter in your physical space is a fabulous way to bring forth crystal clarity in your life and transcendentally make “space” in other facets of life. This paves the way for inviting in exciting new opportunities through career, love, personal development, and so forth. It’s also a very practical approach because then you are left surrounded by more of what you truly value and love. 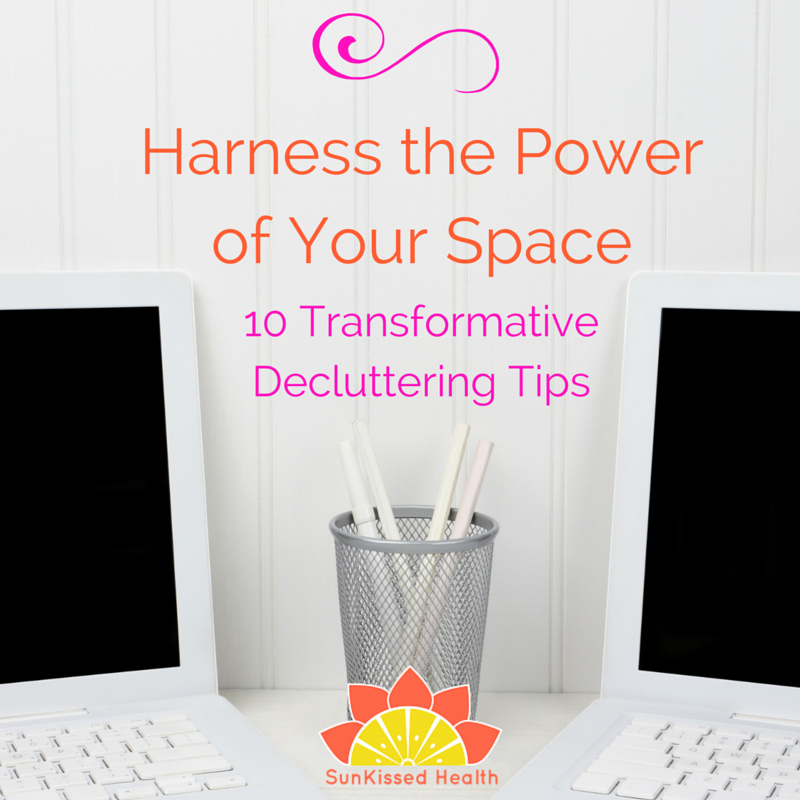 So consciously harness the power of your space by taking inspired action through decluttering. As you clear the chaos in your home, be prepared to witness other areas of your life amazingly transform along with it. 1. SCHEDULE. IT. IN. If not, you’ll be waiting for the “right time,” and that perfect time will most likely NEVER happen. I mean really, you could become a pile of cobwebs and bones long before that time ever arrives. So be like Nike and just do it. Have beautiful, inspiring or energizing music playing as you work (whatever you think would be best to keep you going). Light a candle, diffuse some essential oils, smudge your space—whatever feels right for you. 3. 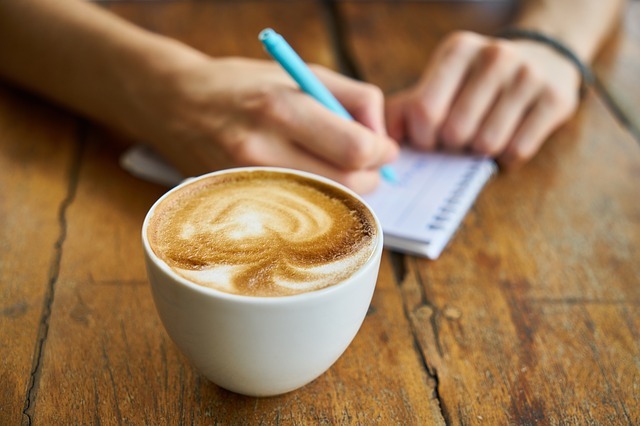 Set a decluttering intention and journal along the way. I highly recommend setting an intention before you begin, and writing it down for additional personal accountability. Then go back and journal about how you feel—even if it’s just after one little area. You may be reflecting a lot—especially if you are going through photos and mementos. This can drain your energy fast! Use the journal to release your thoughts and corresponding emotions onto paper so they’re not swirling around in your head (and hindering you when you want to be productive and get sh*t done). 4. Enlist a friend or partner to declutter with you (or at least at the same time). Having accountability ensures that you actually carry out the process. For some people having a buddy there with them will make the decluttering process go faster and be more effective, for others….errrrr not so much! If the latter is the case, perhaps engage in a lil’ healthy competition with a friend where you each take some time to clear out your respective spaces—and then meet up later and celebrate a job well done. A glass of wine and dark chocolate, anyone? 5. Start small. Yes, it may feel overwhelming in the beginning so just begin with a junk drawer, small closet, or even a purse. More likely than not, after you feel the effects of finishing one detox project, you will feel more inspired to continue and move on to tackle other areas of your home. 6. Create three piles: throwaway, giveaway, and stowaway. Use this to streamline your space detox process, and don’t leave them lying around. After decluttering an area, take everything to where it needs to go to right away—whether that is the trash, donation center, a friend’s house, etc. 7. Every item should have its own “hotspot.” That is, a specific place it resides when it’s not currently in use. Perhaps look at each item as if it were alive—hey, doesn’t everything deserve a good night’s sleep? When not in use, give each object it’s own resting place. 8. Designate “convenient” hotspots for items you regularly use. If you’re noticing that things get easily strewn about in your place, then perhaps the issue is due to a “system error,” i.e. the location where you house a commonly-used item is not convenient enough for you. That means you should tweak your system to find more appropriate places to house your things. 9. 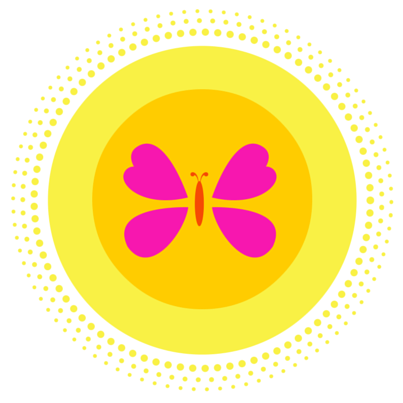 Every item you own should “spark joy” within you or have a valuable purpose. This particular tip hails from the lovely and practical organizational expert, Marie Kondo. When you are determining whether you want to keep an item or not, first check in with yourself. Take notice of how you feel when you handle the item. This will be your clue as to what to stash and what to trash. When in doubt, just release the item because it’s quite likely you won’t even miss it when it’s gone. Also, be mindful to not let “The things you own end up owning you.” (Remember that from the 1999 movie, Fight Club?) So make sure that what you do end up keeping has been stamped with your “PURE certified awesomeness” approval. Remember to breathe deeply throughout the process and pay attention to any insights or “ah, ha’s” that pop up for you. And just know that even one small, conscious change in your personal environment can ripple out and positively affect your whole life. Now that’s powerful.